We toyed with the idea of taking an overnight trip to Paris or taking a day trip to the countryside, but ultimately decided to just stay in one place and really take London in. This way we could unpack and relax. We stayed at the most amazing hotel, Marriott Park Lane, in a fabulous location (right across the street from Hyde Park). 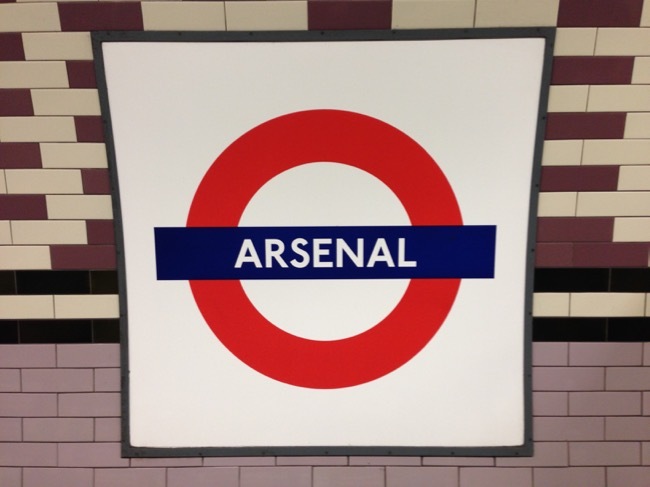 We walked (A LOT) and took the Tube everywhere. There was a stop right outside our hotel and it made our lives so much easier! We did a little shopping. 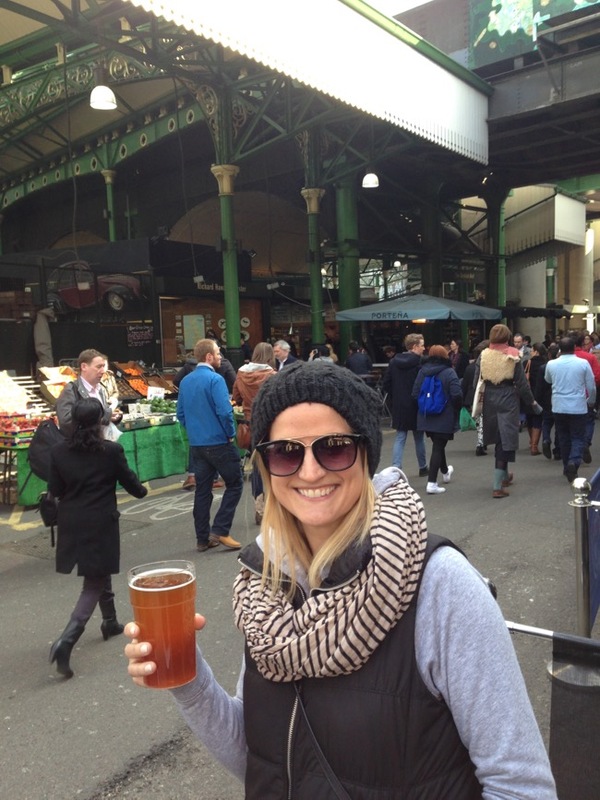 We did a lot of sightseeing, park strolling, touristy stuff, and we pub hopped and enjoyed many a beer in London! We just love ourselves a good English pub. 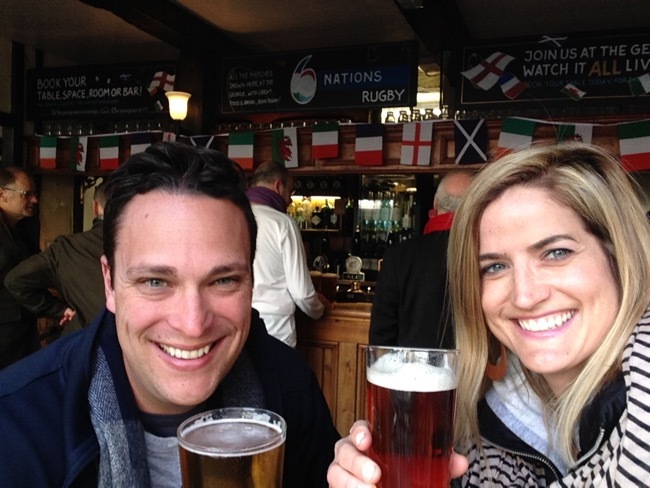 We visited both touristy pubs, as well as off the beaten path pubs. 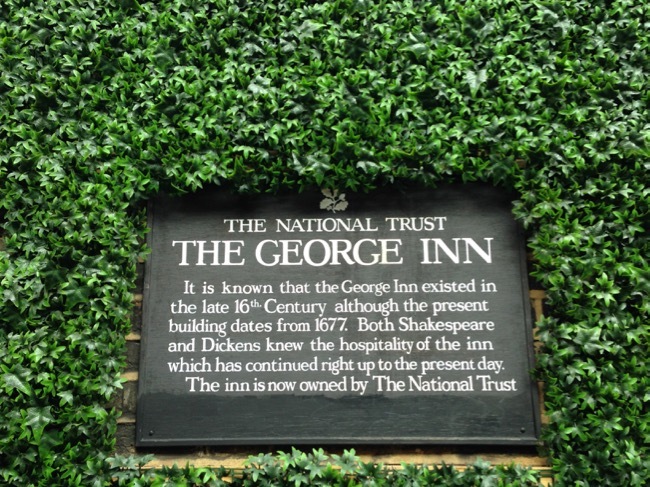 This was at The George Inn, since 1677. We also love to go off the beaten path and find spots where the locals go. 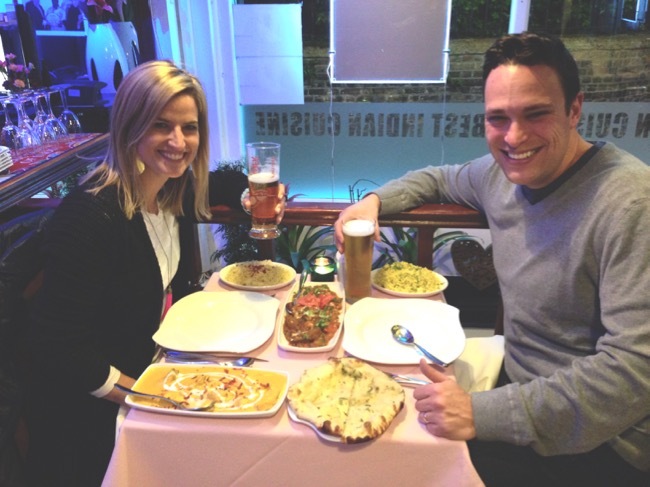 We had the best Indian meal one night. And no surprise, we have beers in our hands. :) This meal deserves it's own post. This was at a little corner spot we found in Marlborough called The Rajdoot. 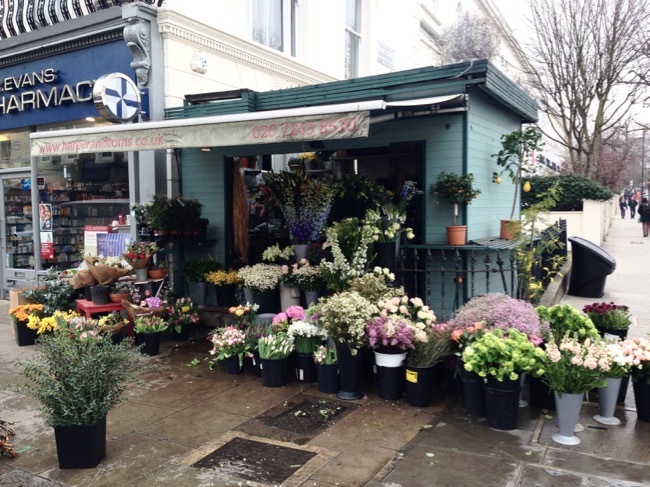 So quaint and delicious, a must try if you are in London! 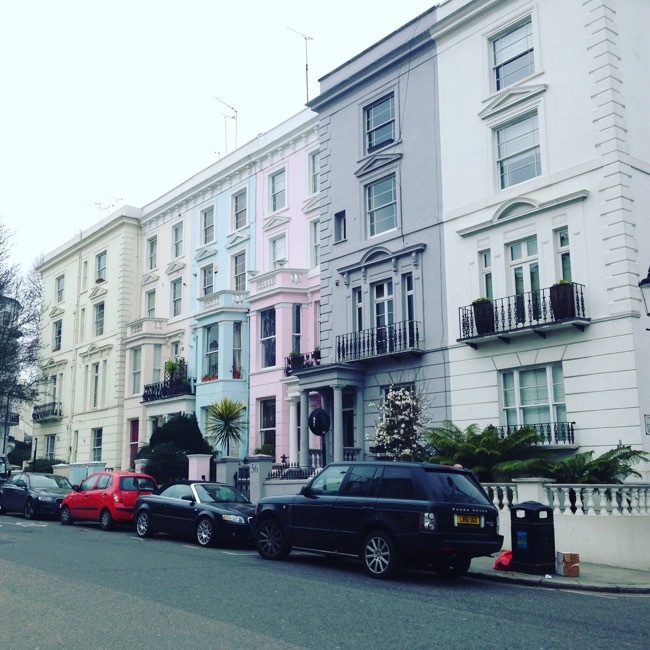 Oh, Notting Hill, I loved you. 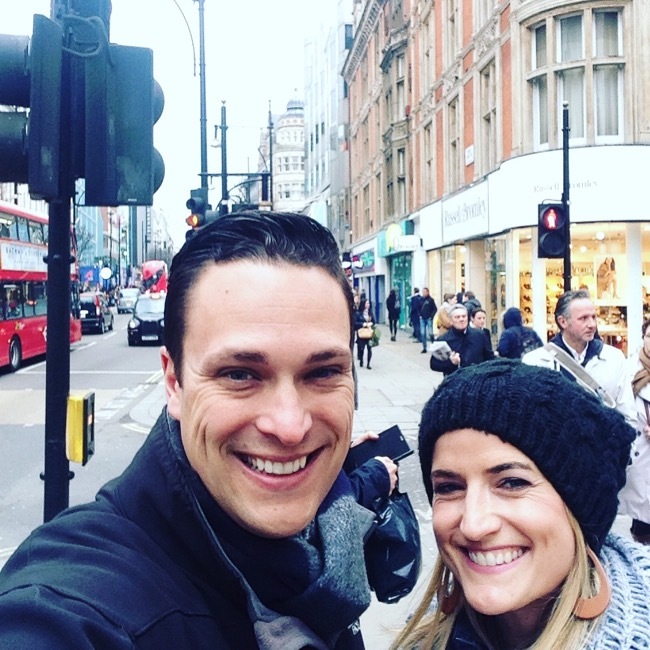 We strolled the Portobello Road Market. It was packed, but fun to be in the hustle and bustle. Have to do it once. 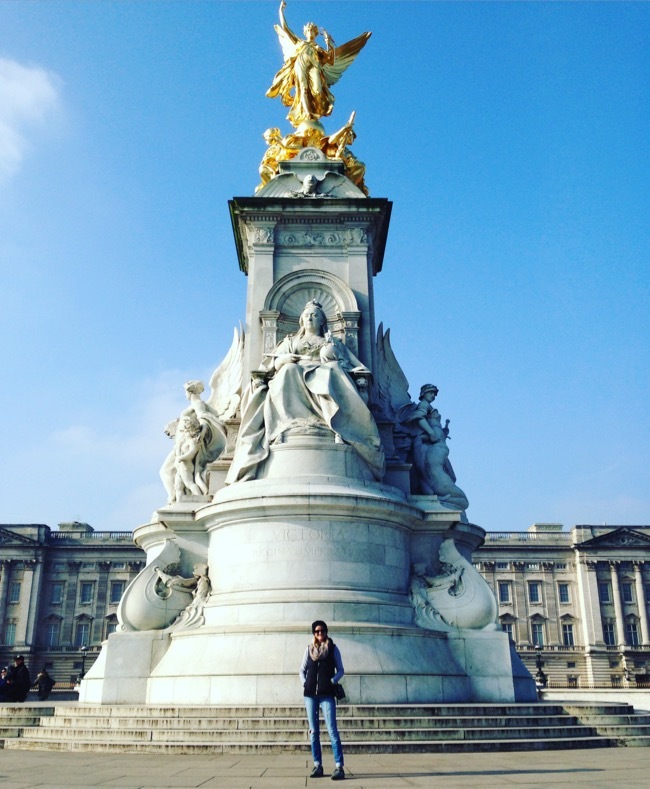 Since it was my first time to London, we hit up all the tourist spots (Buckingham Palace, Borough Market, Tower Bridge, Big Ben, Tower of London, etc). 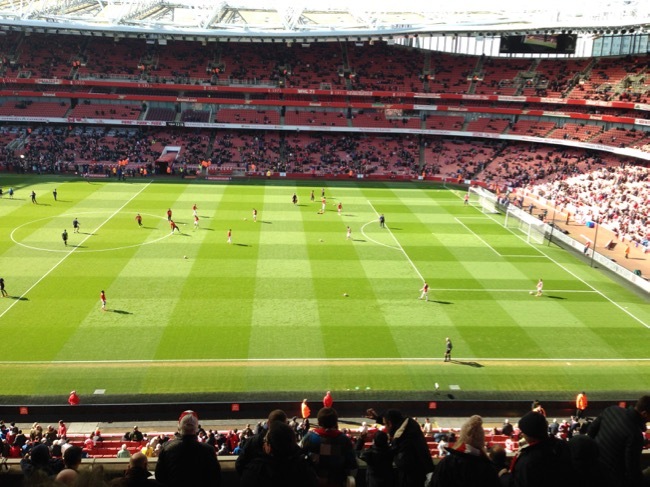 One of the most fun things we did was attend an Arsenal Football Match. This is Steve's team and his second time seeing them play. The whole experience was something I will never forget...the stadium, the fans, the passion, the yelling, the atmosphere. I was indifferent about going, but I'm so glad we went! 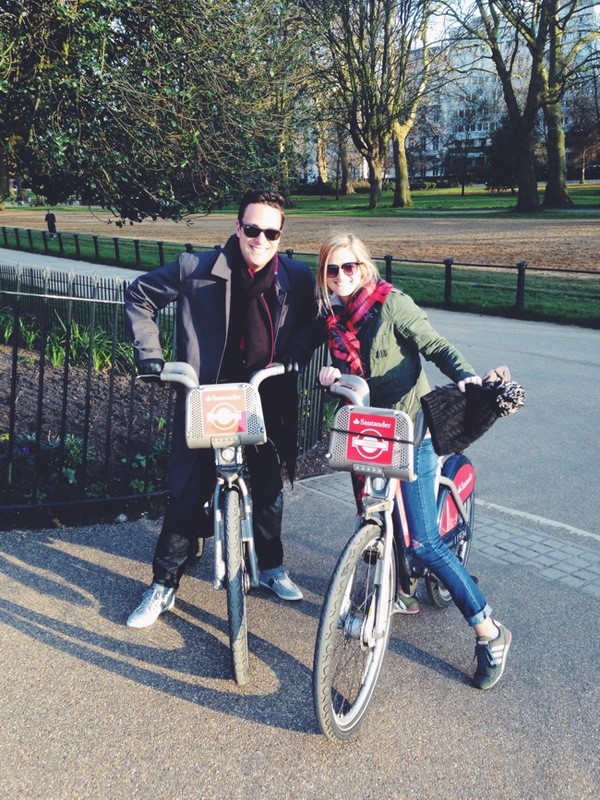 We walked/rode bikes through three parks in London (St. Jame's Park, The Regent's Park, Hyde Park). I can only imagine how beautiful they are in the spring/summer! We were there just before spring and only a few daffodils were sprouting. Riding bikes through Hyde Park with Steve was just awesome. As you can see, we are glad we brought winter hats/scarves/coats/gloves! It was certainly chilly in London in mid-March. And I'm not sure how we pulled it off, but we did not see one drop of rain in the 6 days we were there. We were dressed appropriately, so it was never an issue, and when the sun was shining it was perfect. We also felt it was not busy this time of year, which was a bonus. 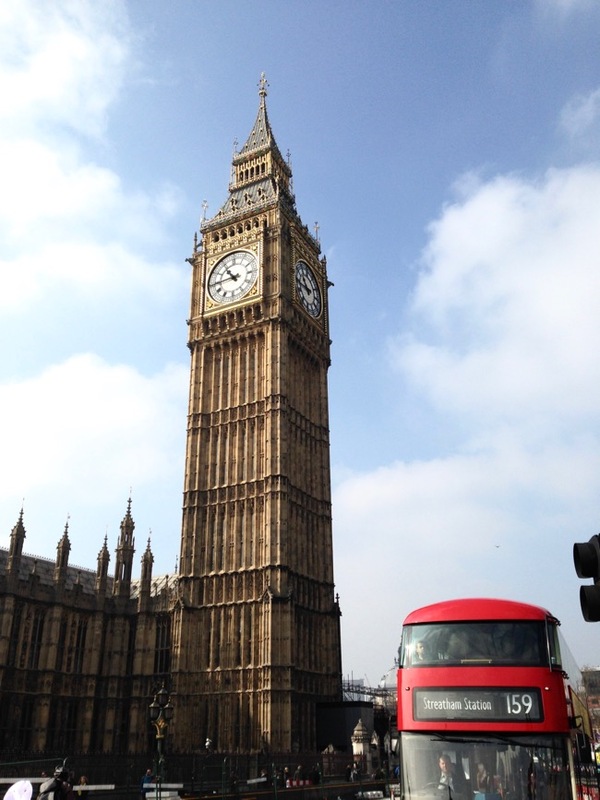 It's London, so it's always "busy", but we never felt crowded. We also never felt scared. With all that is going on in the world, sometimes it's scary to want to travel. I'm happy that did not stop us. We had such a fantastic time. I love making memories in new places. 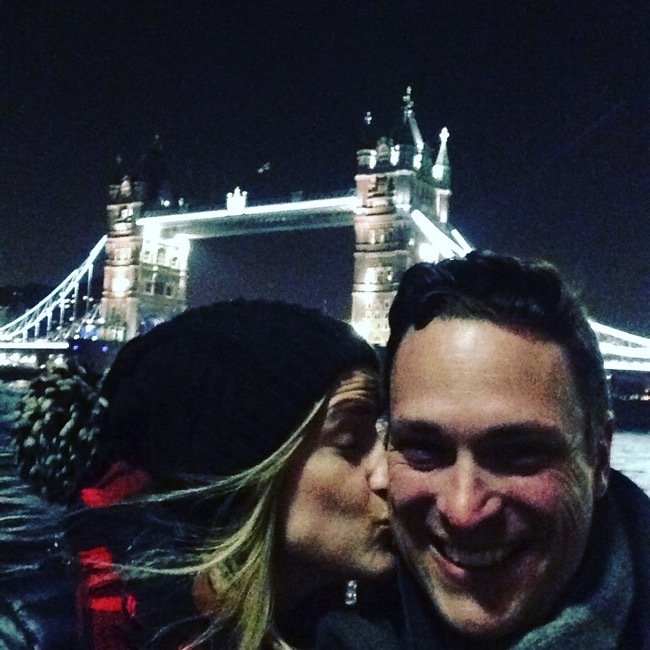 Going away with each other is always such a gift.